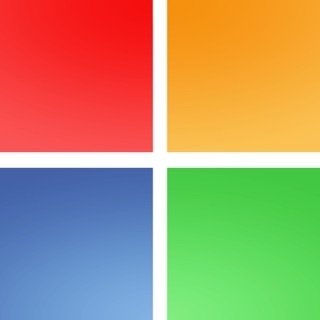 "PhotoVideoCollage brings the classic photo collage to the next level. Not only can users add photos but also videos, and mix the soundtracks with their favorite music." 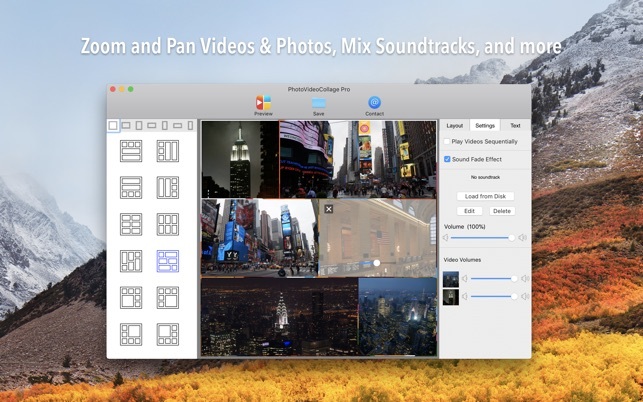 Create beautiful and engaging video collages with your memories and favorite music. 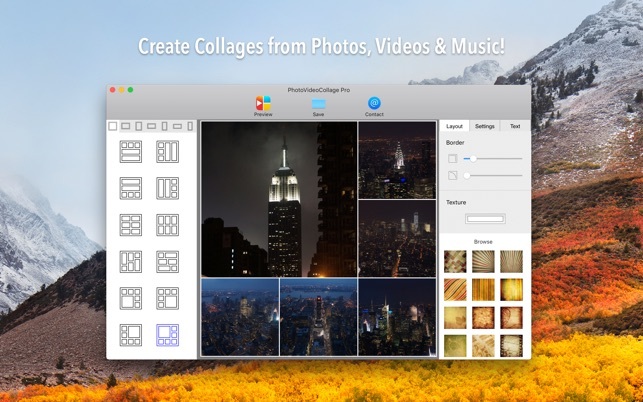 Impress your friends and family with your awesome collages that contain not only photos but also video clips, and music! PhotoVideoCollage is not your classic photo collage, it's a video collage app that can add photos and music into the mix. 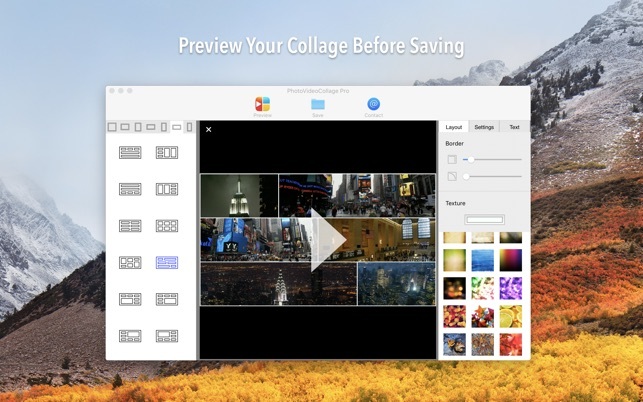 • [New] 4K resolution for video & photo collages! • [New] The option to select a custom texture for your layout. Now what're you waiting for? This is a Free app so go get it! 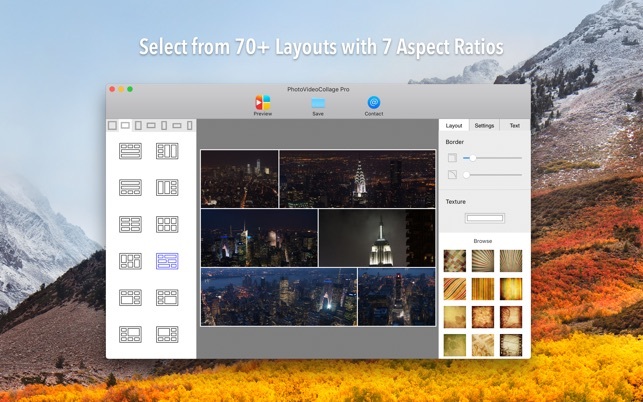 • New 4K resolution for video & photo collages! • Relaxed limitations in the Free version. Now you can access 38 layouts and 18 textures for free. We have listened to your feedback so here is a much improved version 2. Please let us know what you think about the new version, your feedback keeps us motivated! Perhaps the worst app I can remember downloading. Deserves zero stars. User interface is clunky and unintuitive. “Free” version does not allow you to use any other input file format than JPG, though it will output in PNG as well. I did not pay for the “Pro” version. One would expect ANY collage app to have access to the Apple built-in Photo Library. This does not, an incredibly stupid decision by the developers. I have used iOS collage apps that work better and faster than this program. App demands you create a sample collage, generate a preview as a time-wasting step, then save the preview. The “free” version adds a watermark to your collage, effectively making it useless. The developer does not tell you about the watermark in advance. A free program is a ripoff if it is nothing more than a demo for a paid version. There are free collage apps on the Web that are superior to this app. This app set a record on my Mac for being uninstalled in the shortest possilble time. It’s basically just a come-on for the $10 “Pro” version. That version would not be worth it because of the terrible user interface, slow operation, and dishonest marketing. I wanted to purchase BUT the layout was horrible and the placement of their AD-watermark was huge and covered-up my text. Very tacky, cannot trust or use! Sorry, but you need to trust your prospects to try before they buy. --Fix the layout issues and offer more layout choices, offer editing the sizes to fit and remove your AD-watermark from free-trial. It is more-or-less saying “we don’t trust you so leave and don’t come back”. Very tacky! Not being able to adjust and resize to fit makes your product unusable. Listen to your prospects and make the changes and you will increase you sales, Thank you! T.
I got this app to create a collage of all my pictures from a recent vacation. This app was so easy to use I was able to create a great collage of various photos and videos I took during my vacation. Uploading videos and photos on the app is very easy and takes little to no time. 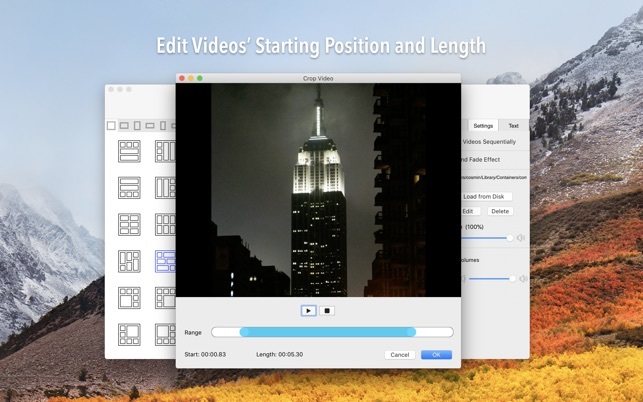 Editing is easy and has a great format to help those who are not familar with video/picture editing. For a free app this was a great download.